Montgomery, AL— May 16 , 2017—Jay R. Smith Mfg. Co.®, known for its quality engineering plumbing and drainage products, has expanded its Best In Class Stainless Steel drain line. Stainless Steel is one of the most popular and widely used materials available today due to its appearance, durability, and long life. 9600 General Purpose Floor Drain offers sleek stainless steel construction and corrosion resistance for lifelong service and an enhanced custom appearance. 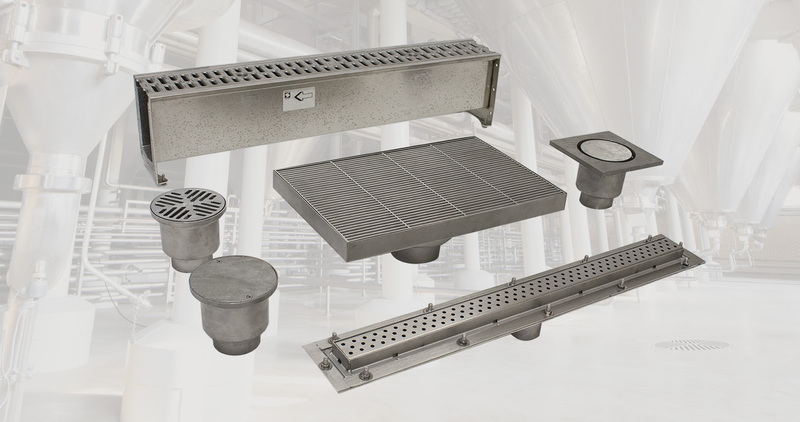 9679 Stainless Steel Threshold Drain is ideal for use in front of elevators, doorways, stairways and similar applications to receive and drain water with flow rates up to 100 GPM. 9666 2" Wide Stainless Steel ADA Shower Drain is designed for shower stall applications with vandal-proof, ADA compliant, stainless steel perforated inlay grating. 9667 Fine Line® Stainless Steel Shower Drain adds beauty and artful design to a shower stall.